Coastal’s Moving to 29 Marginal Way! After watching that incredibly dramatic video, you may be thinking… but, why the move? The simple answer is that our current lease expires at the end of 2017. Although, that alone is a valid reason to move, new compounding lab requirements necessitated major renovations which would have been extremely hard at our current location. These two factors came together at a perfect time. As you can see from the video, we have found a brand-new space about 2 blocks from our current location. Starting with an empty shell has allowed us to build from scratch, which is ideal when building a lab with stringent specifications. We’ve designed the space to have an even better Coastal vibe that you’ll enjoy spending time in. Warm lighting, soft colors, wood shelving, and an open shopping, pharmacy and check out space…no more bowling alley! We seriously can’t wait to share it with you. While construction is underway, you will continue to find us at 84 Marginal Way until the end of the year. We’ll be closed on Friday, December 29th and Saturday, December 30th to complete the move and will open at 29 Marginal Way on Tuesday, January 2nd. We’ll keep you updated on the progress along the way! The slight difference is that there will no longer be a substantial cafe space like we have now. It will be more like a kiosk with coffee, tea, cold drinks, baked goods, and bars. As you can imagine, no longer having InterMed and Drummond Woodsum traffic will significantly reduce our need for a conventional cafe. Our hours are changing slightly as well. The hours below will begin at our current location on Saturday, December 2nd. If you have questions, please contact us at (207) 899-0886 or info@coastalpharmacyandwellness.com. 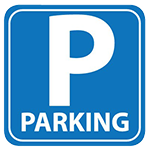 Free parking is available in front of the building or in the rear parking lot. Subscribe now to get Coastal newsletters, updates and offers. ©2019 Coastal Pharmacy & Wellness. All rights reserved.